Most Americans do not get enough exercise, and that does not even include their dogs. Your four-legged buddy needs exercise too. 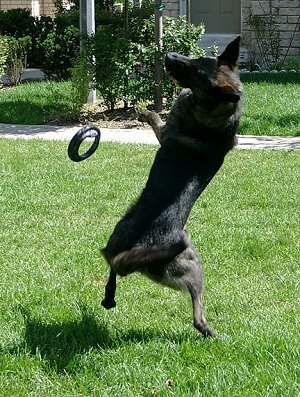 You may not excel in your own exercise regimen, but you should ensure your dog gets his exercise in. You can get your exercise while you go for a walk with your dog, getting two treats with one act. If you are unable to go for a walk with your dog every day that would constitute exercising, make sure that your buddy gets exercise in other ways, like playing ball, tug-of-war, or fetching his toys. Allow and encourage other people who have a relationship with your dog to play with him as well. Another great way to get your dog some great exercise, along with some excellent socialization, you can set up play dates with other dogs or make a trip to the nearest dog park. Taking those extra steps can help to keep your dog healthy for years to come. Everybody has seen it. Some poor human being dragged down the road by a dog. It is not a pretty sight, and it can be very dangerous. All dogs should learn, and are able, to walk on a leash without pulling. After all, the ultimate alpha (the human) is in charge during a walk. Training to that effect needs to begin early in a dog’s life. Unfortunately, some dogs do not find a home until they are already grown. Today, we are going to talk about leash walking a large dog, or any dog for that matter. And got thrown out the door. If you cannot physically keep your eyes on the dog, he must be in his crate or a small confined area. Potty training dogs are not allowed to free feed. You must catch the dog in the act of soiling. If not, you cannot correct him. See rule #1. 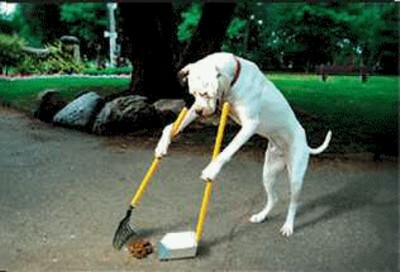 NEVER allow your dog to see you clean up his accidents. Dogs should go outside before and after play, sleeping, and eating. Training sessions (sit, stay, etc) should be taught to a hungry dog and last for 10 minutes only. It is recommended that puppies under 8 months of age eat 3 times a day. Generally food and water are not allowed in the crate. *** Spike’s Special Note: If your vet recommends that food and/or water be left out for your dog to free feed, DO IT! Your dogs health may be at risk. Dogs that free feed may take longer to potty train. Also, younger and smaller breeds may need to have access to food at all times.